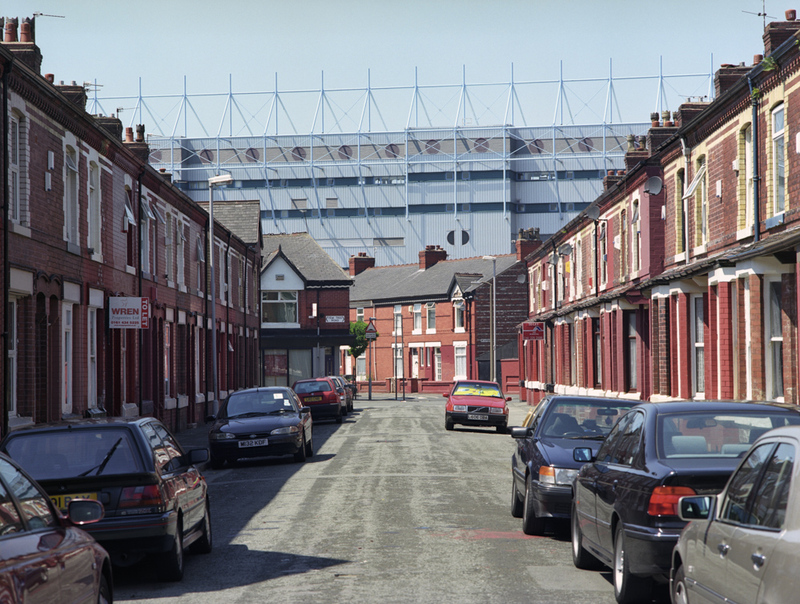 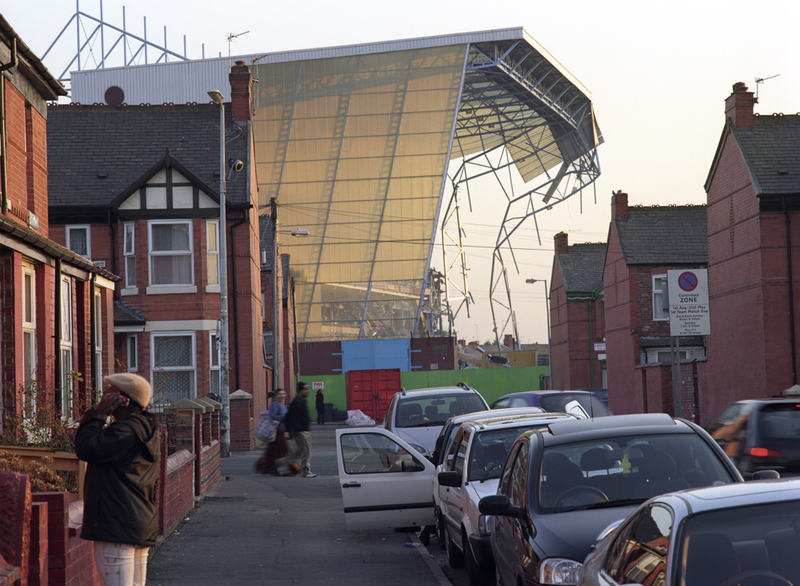 After 80 years, Manchester City FC left Maine Road in July 2003 for the City of Manchester Stadium in East Manchester, also known as the Ethiad Stadium. 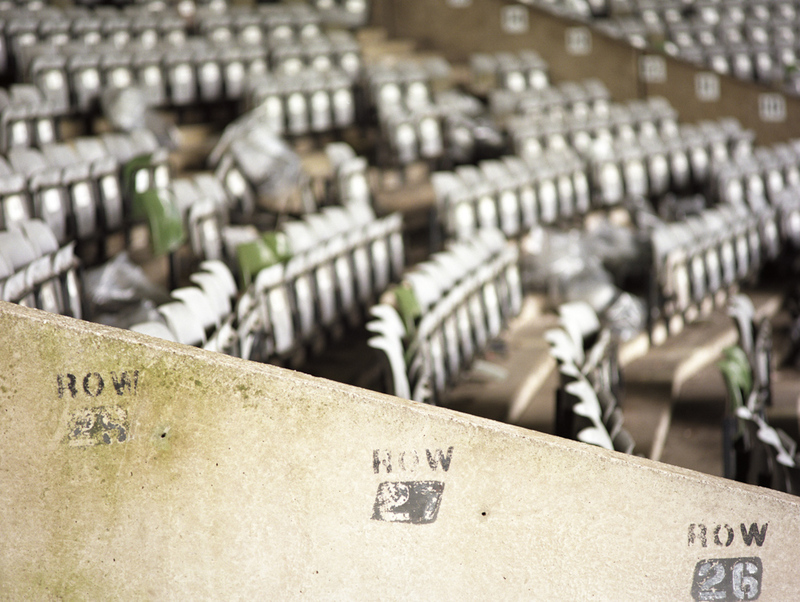 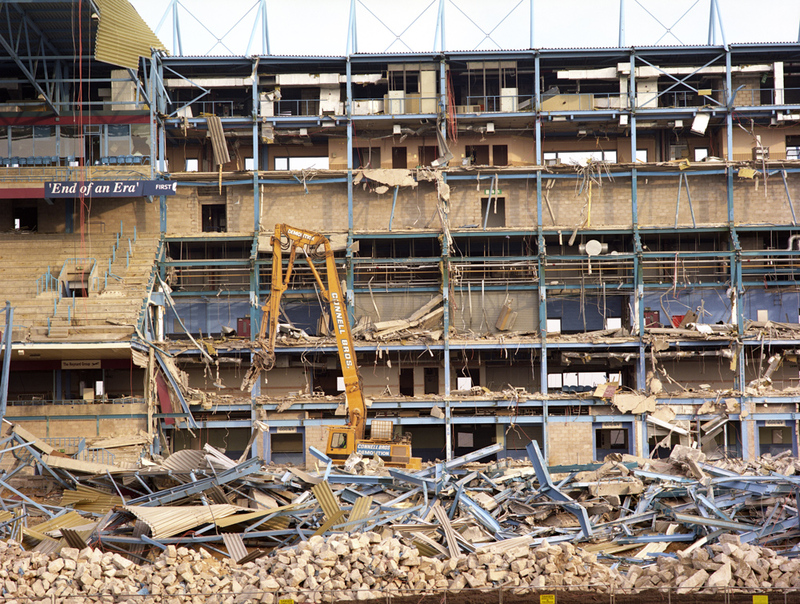 The stadium was demolished and approximately 400 new homes are being built on the 15-acre site. 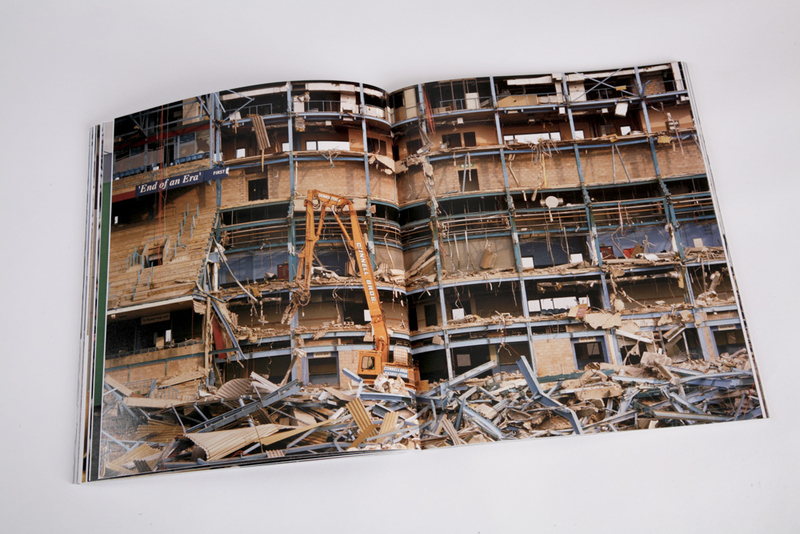 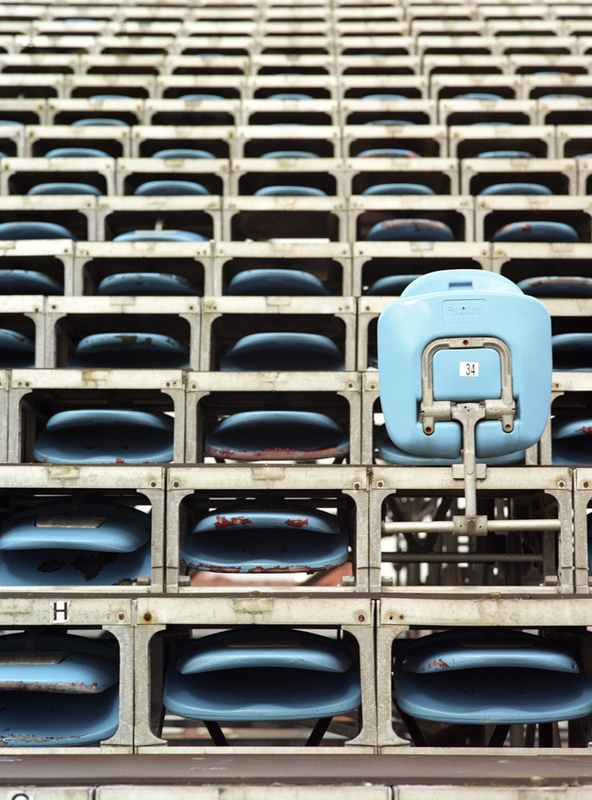 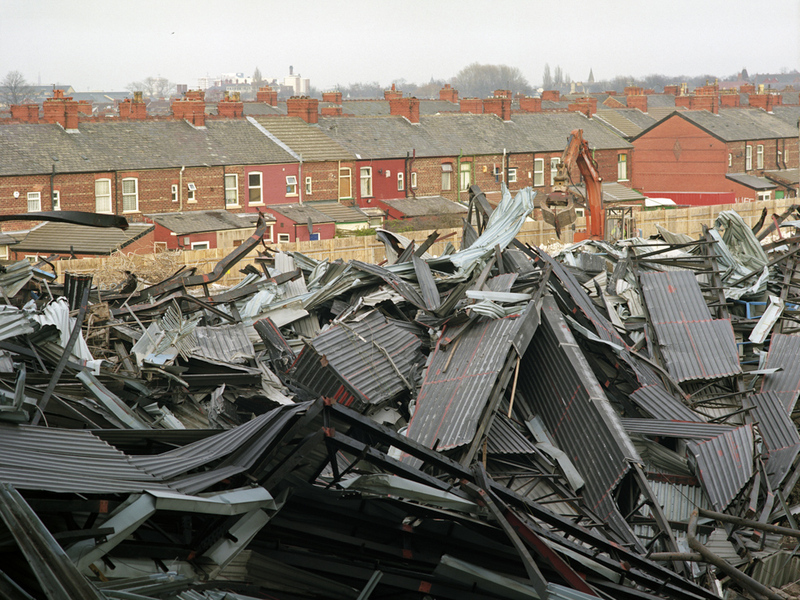 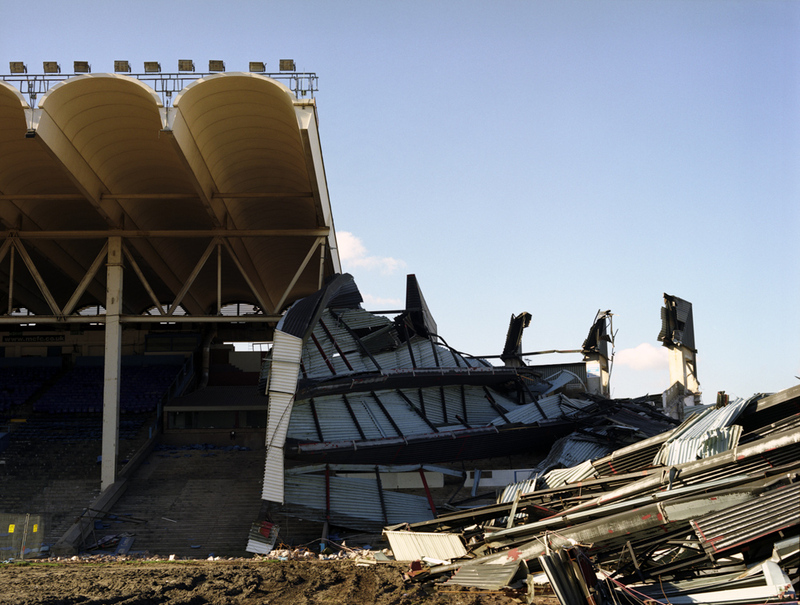 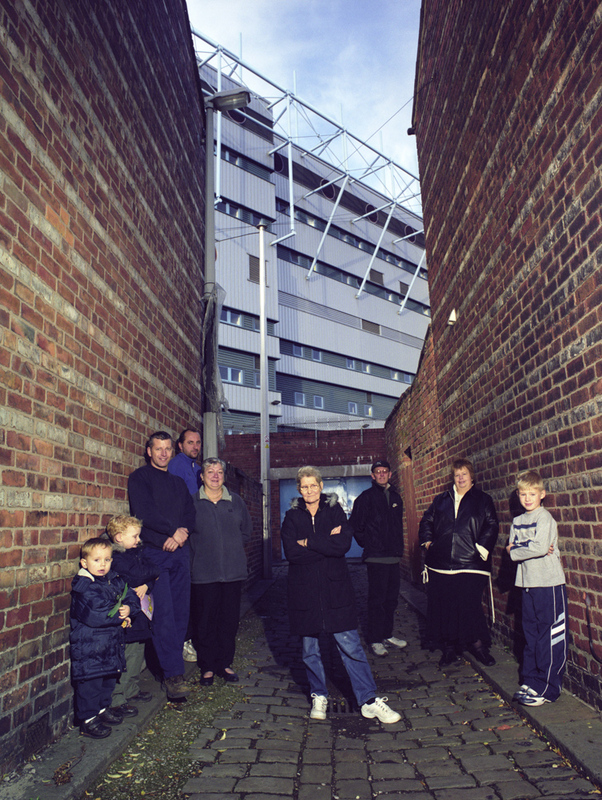 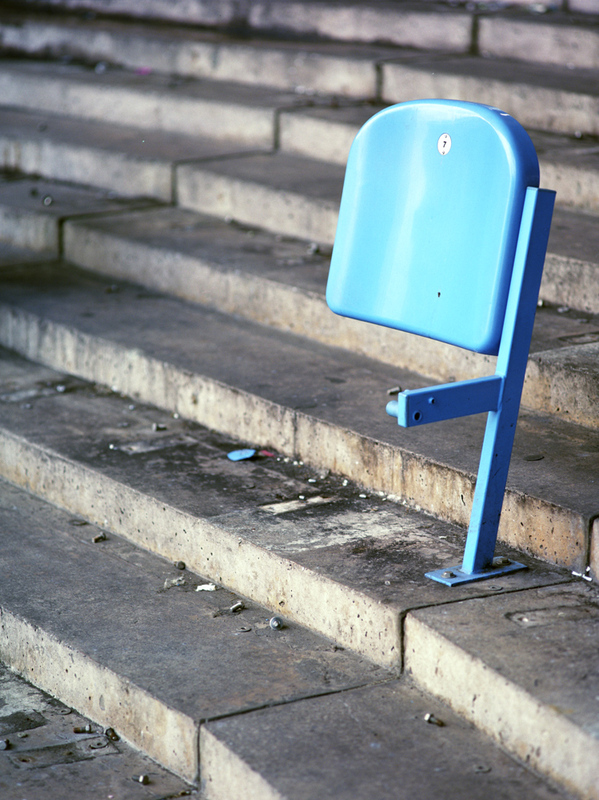 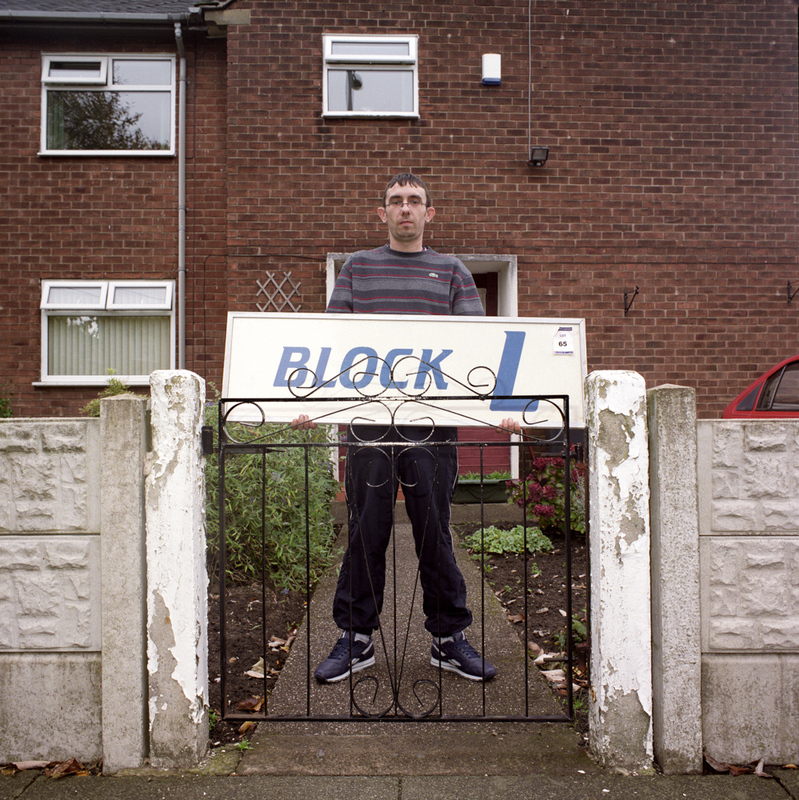 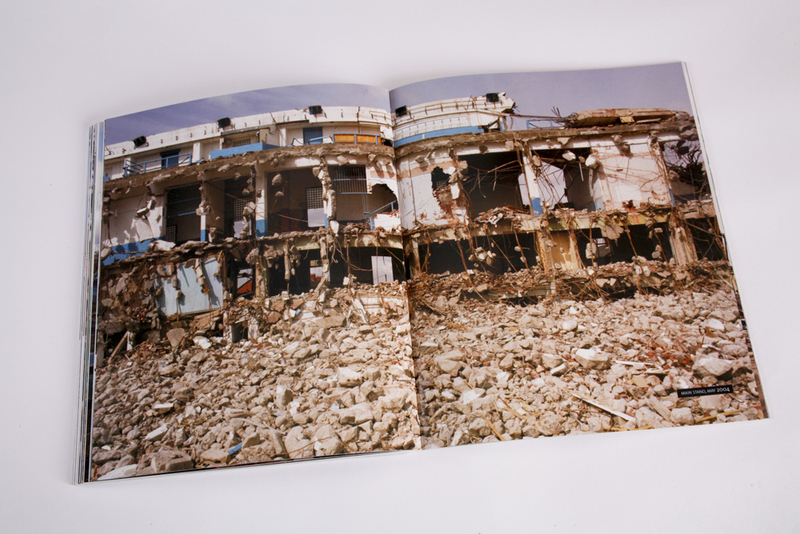 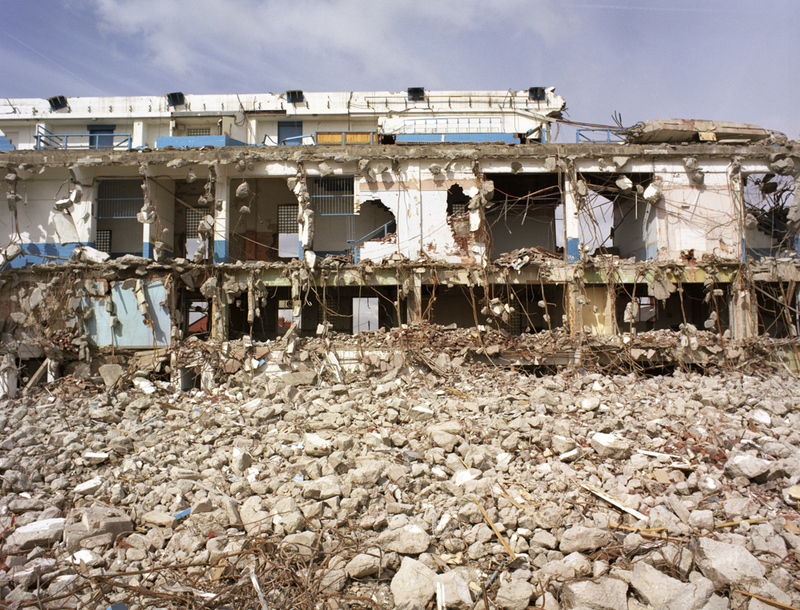 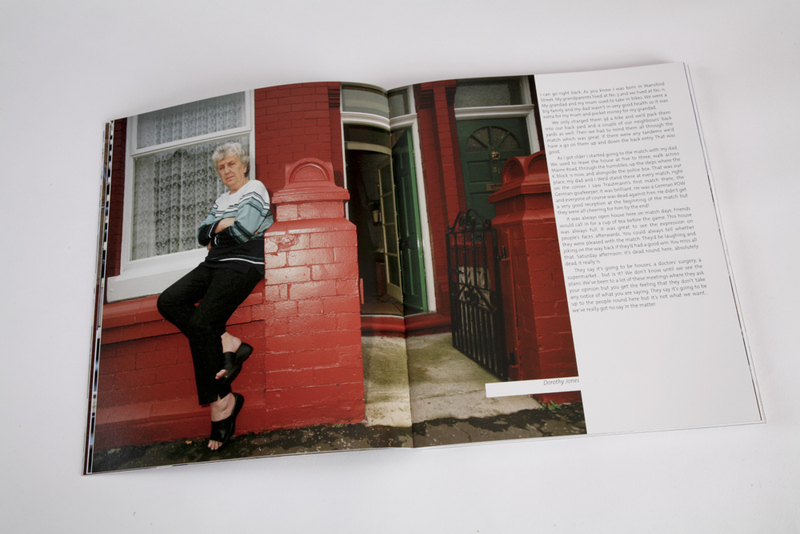 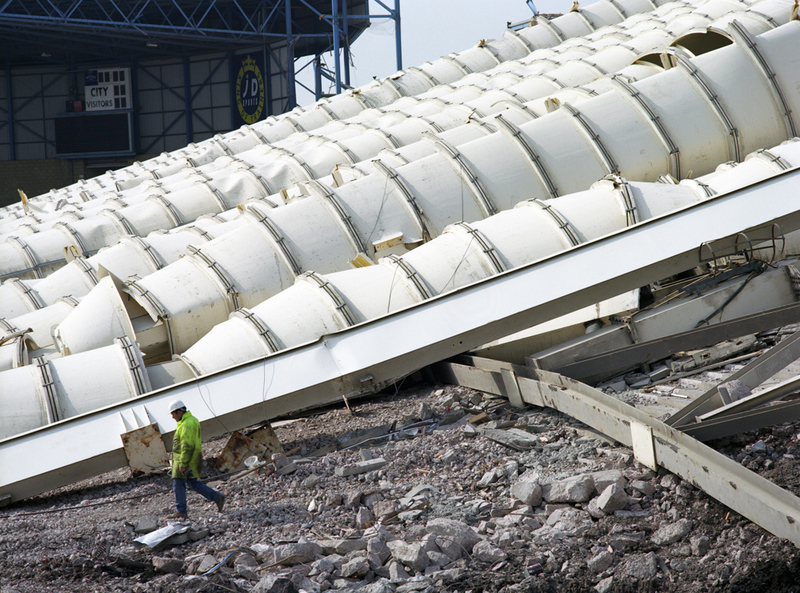 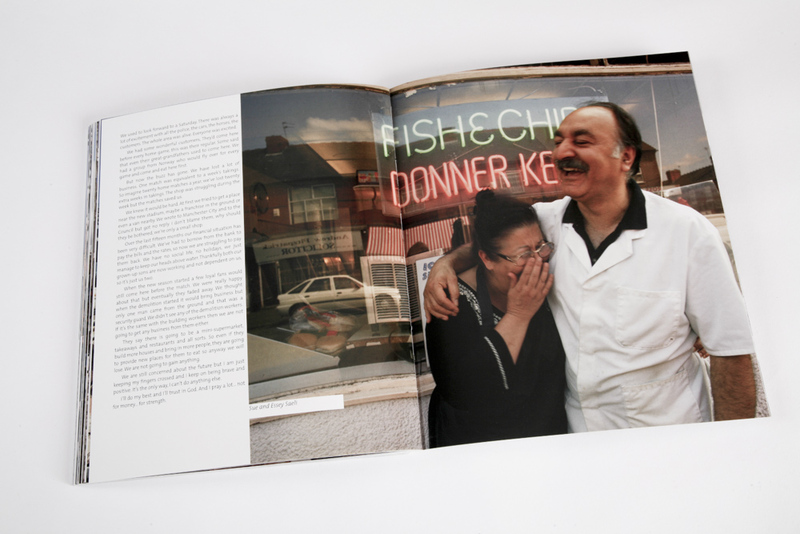 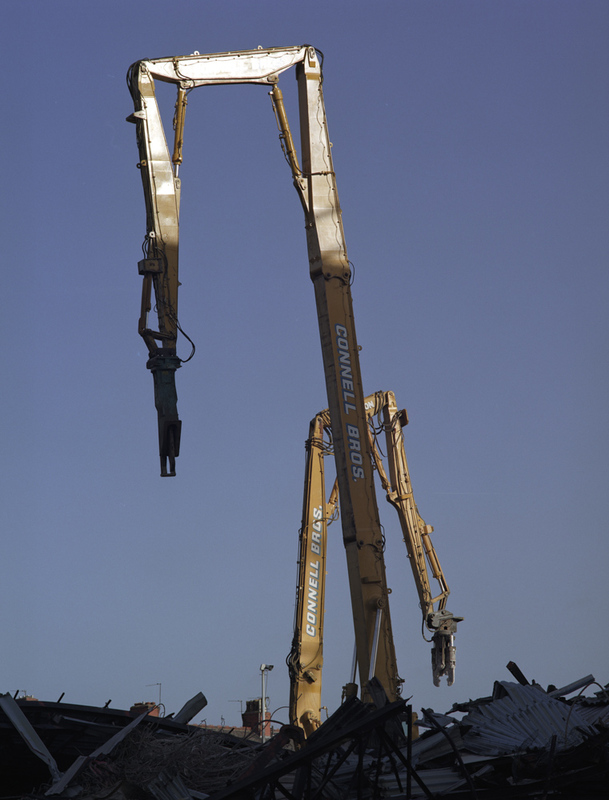 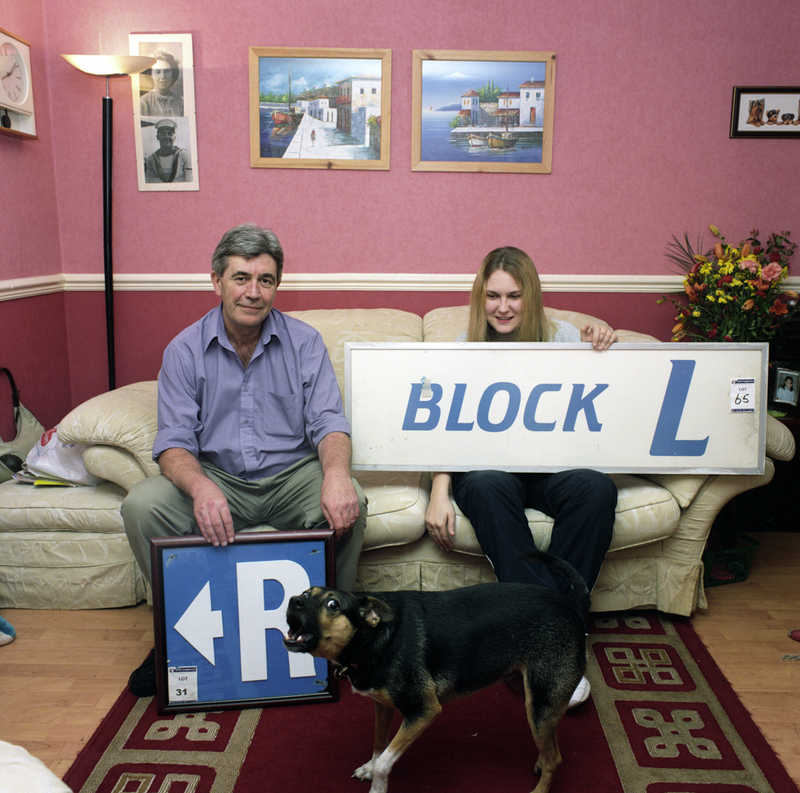 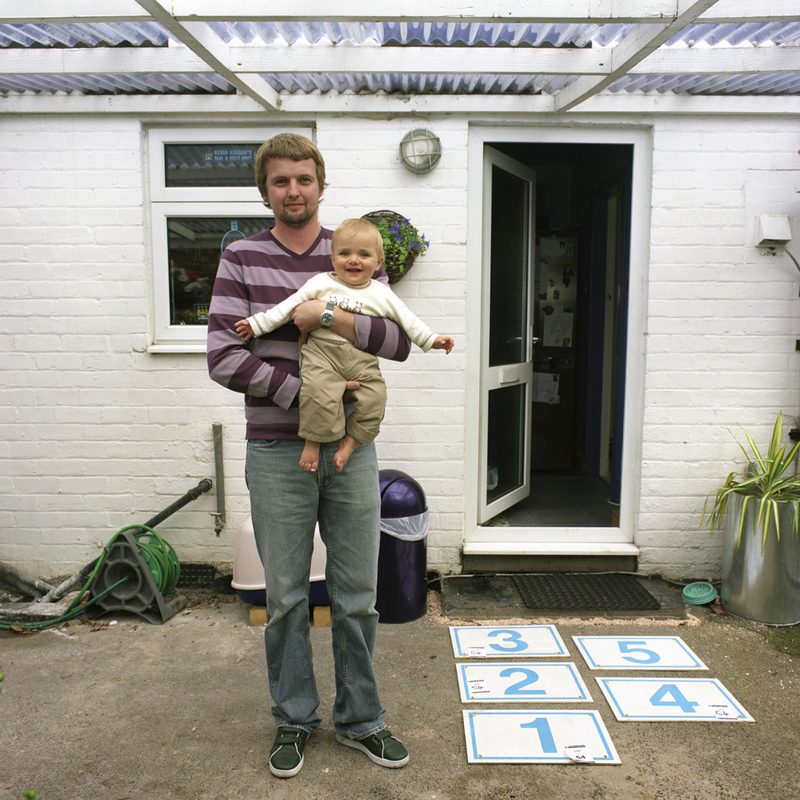 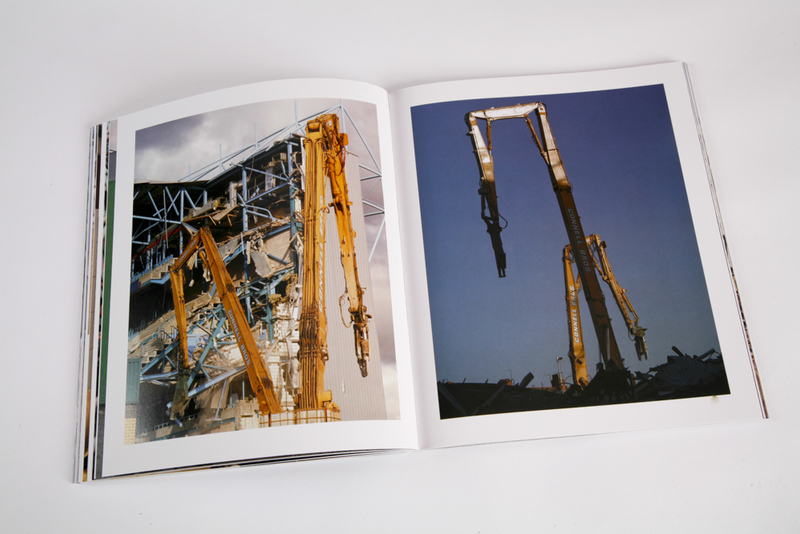 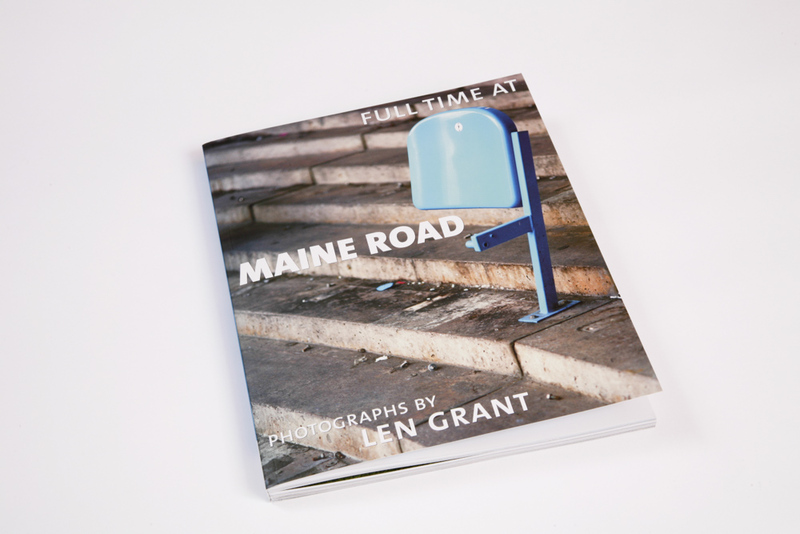 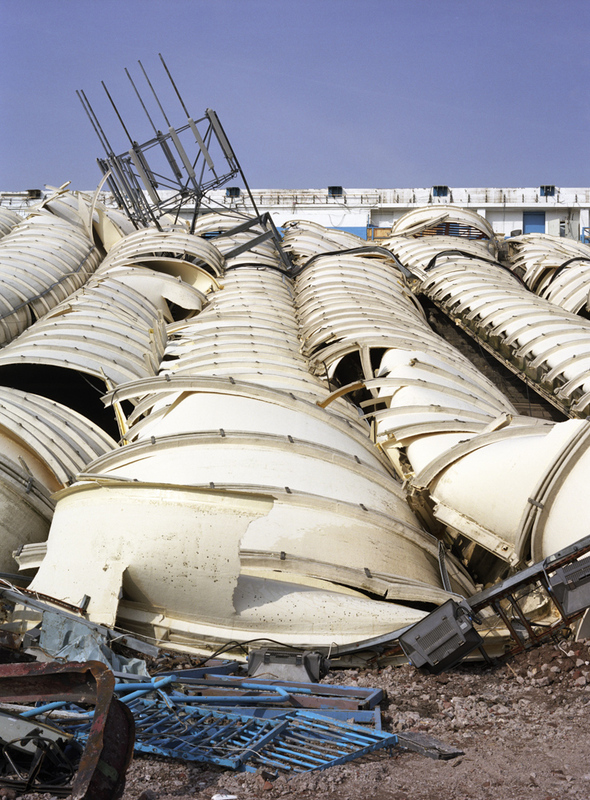 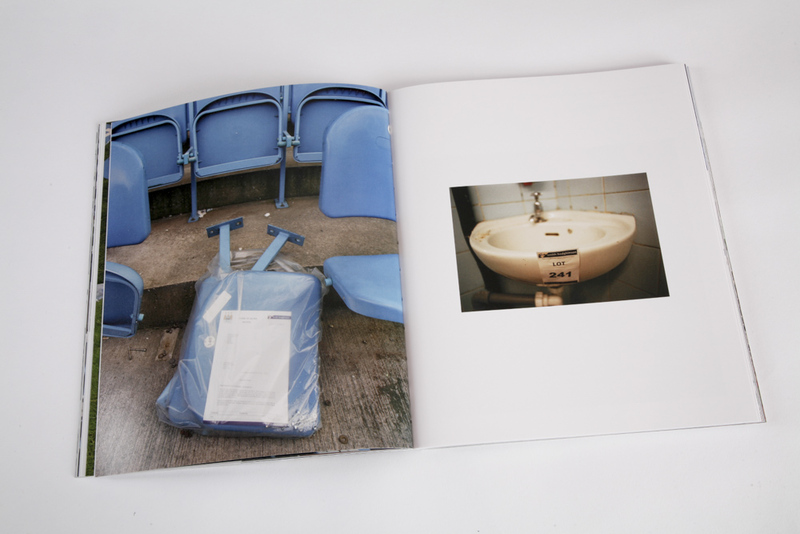 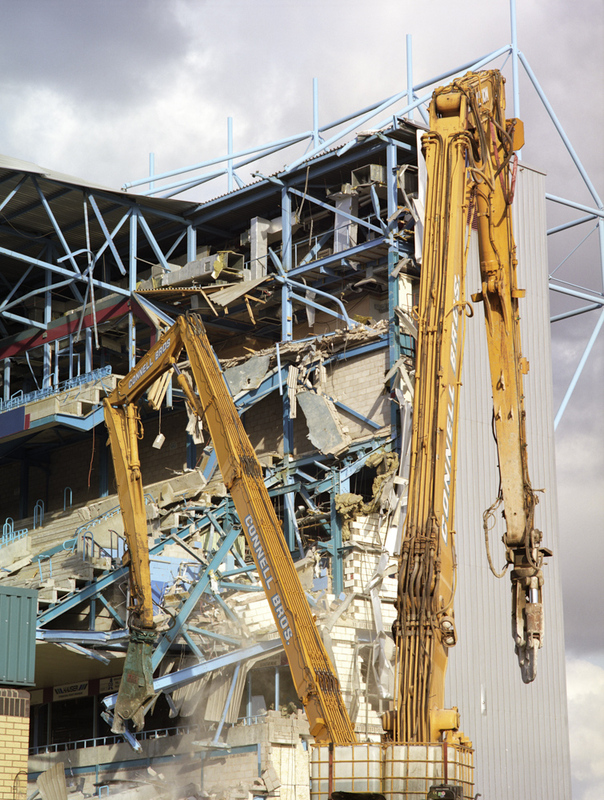 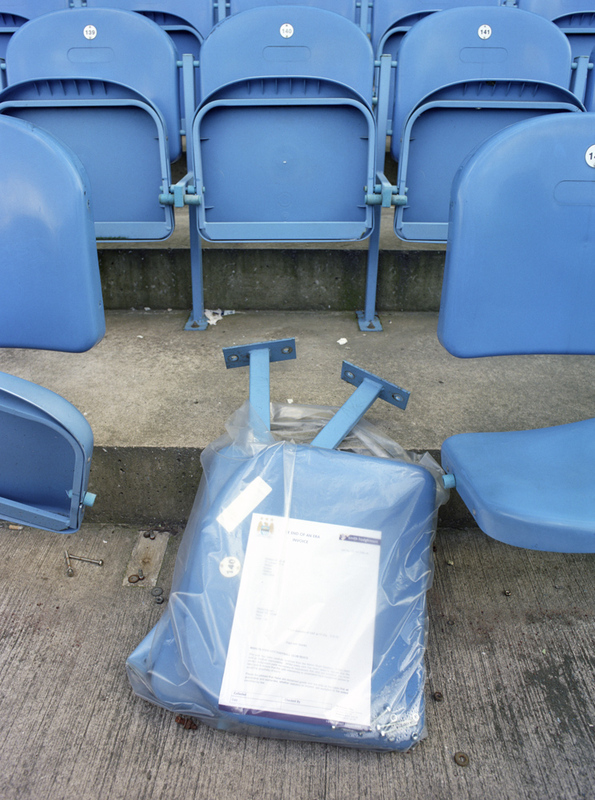 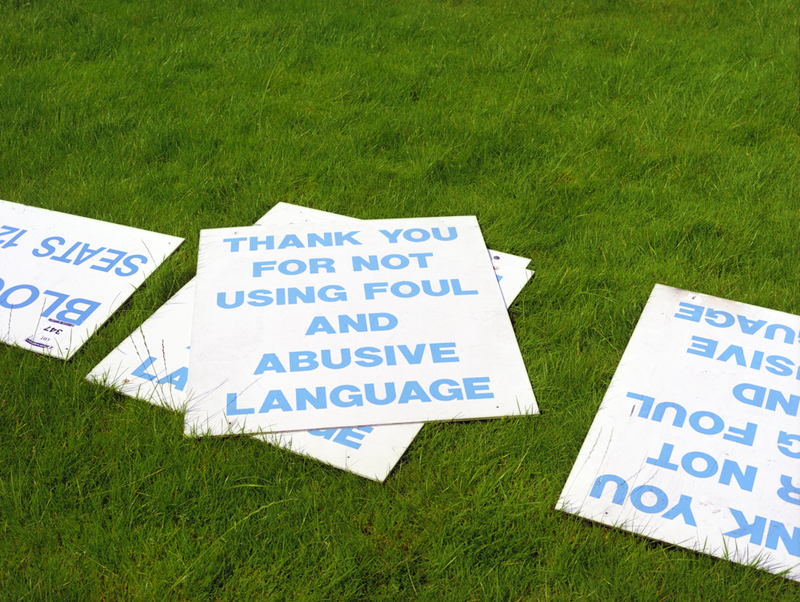 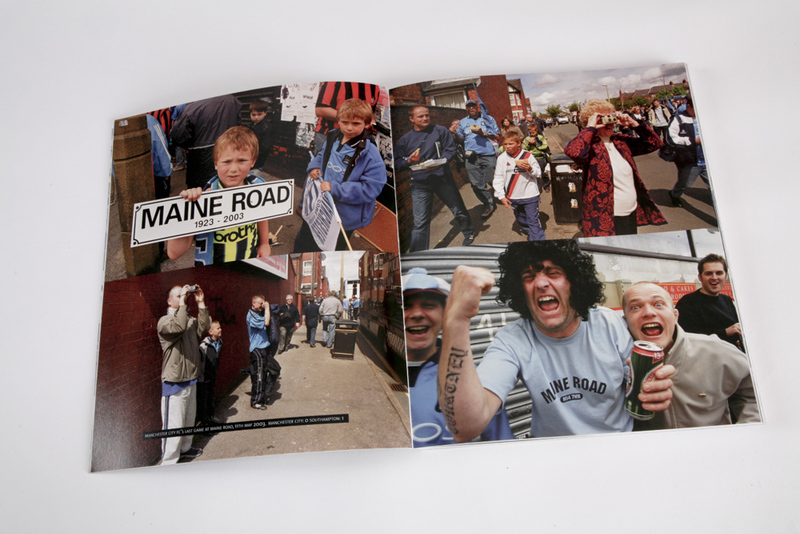 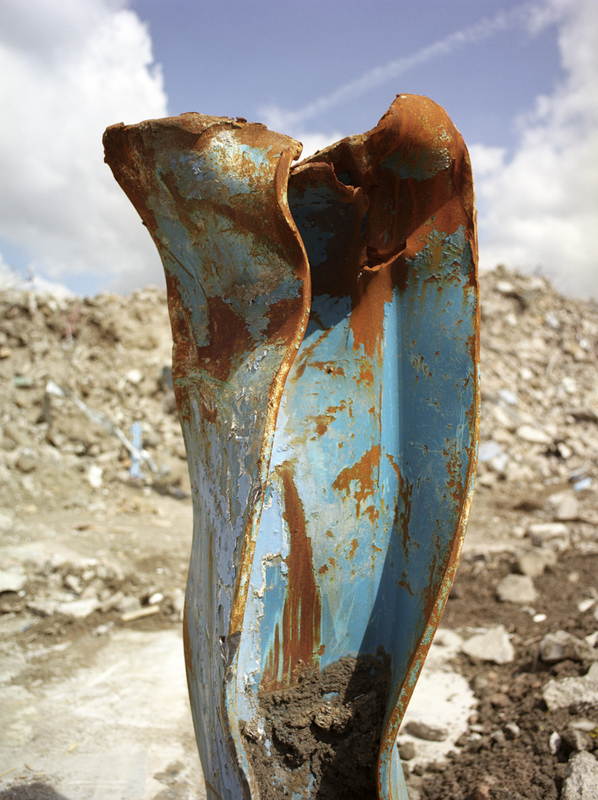 I was commissioned by Manchester City Council to document the demolition of the stadium and I subsequently produced a 128-page book, Full Time at Maine Road, that also reflected on the social implications of the stadium’s demise. 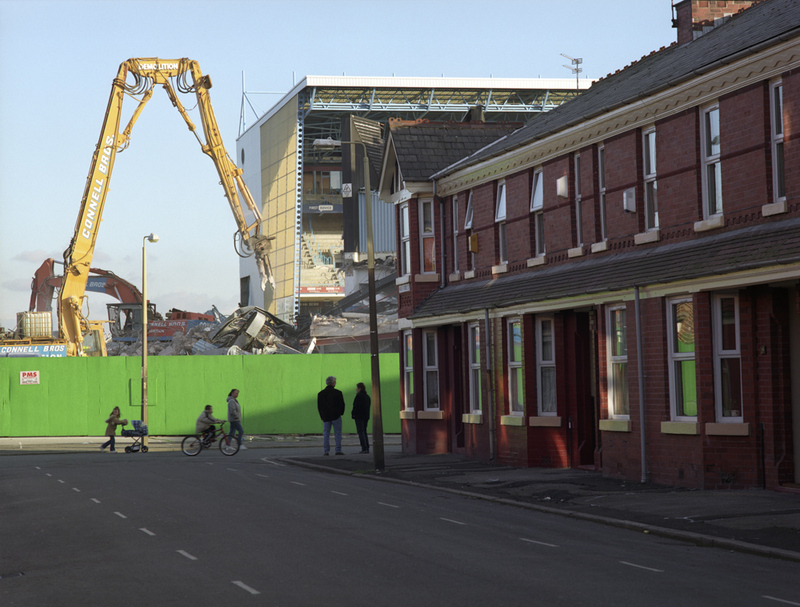 Were local residents and businesses sad to see it go, or glad to see the back of it? 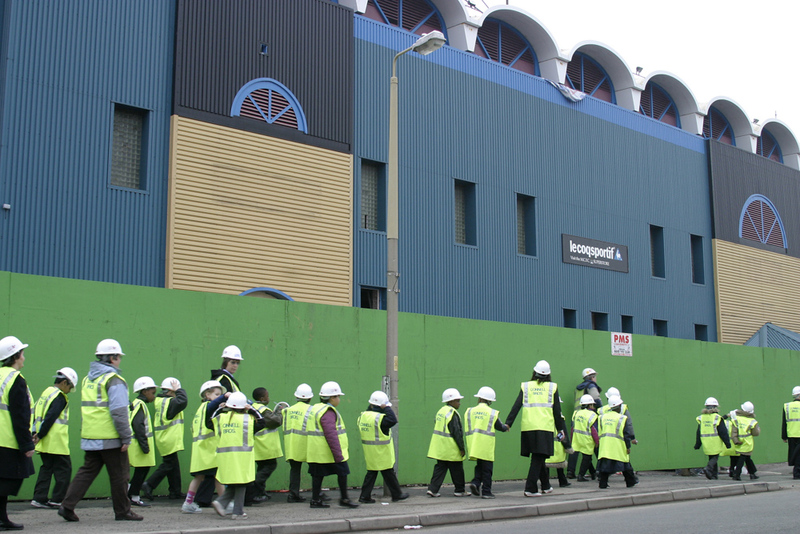 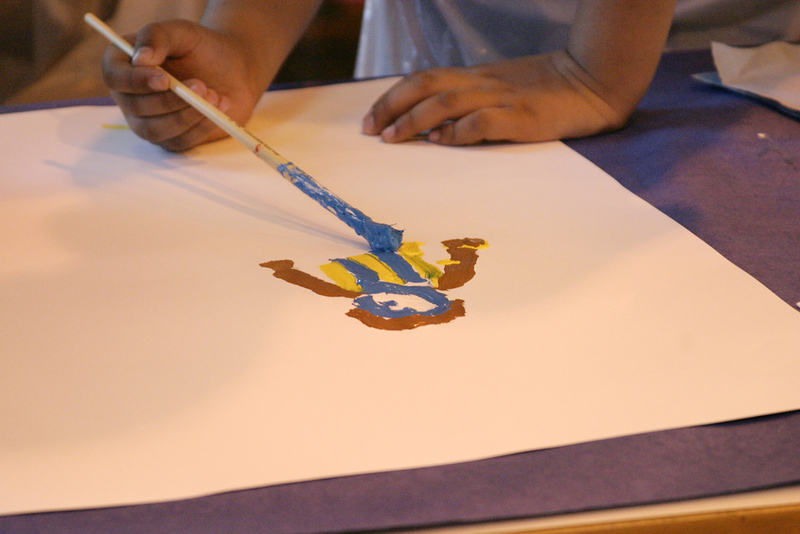 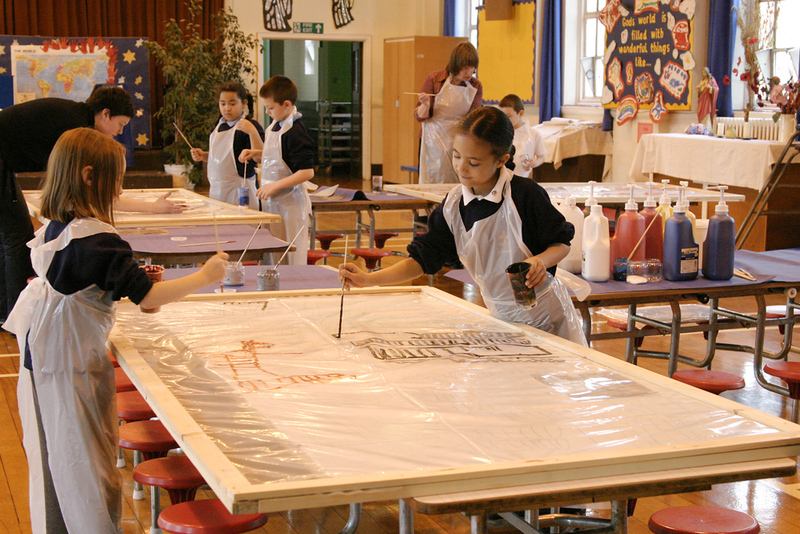 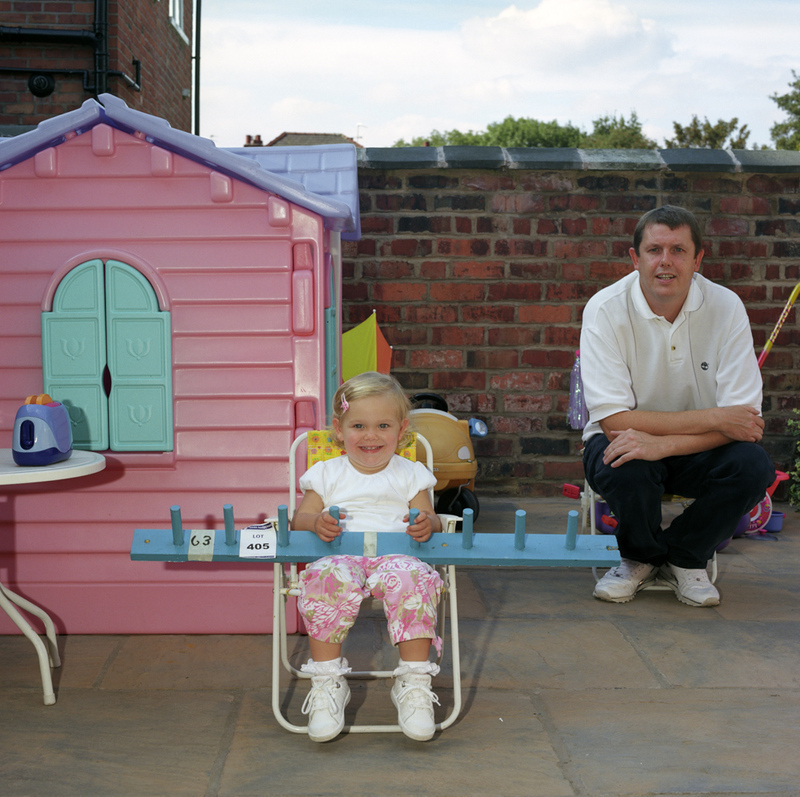 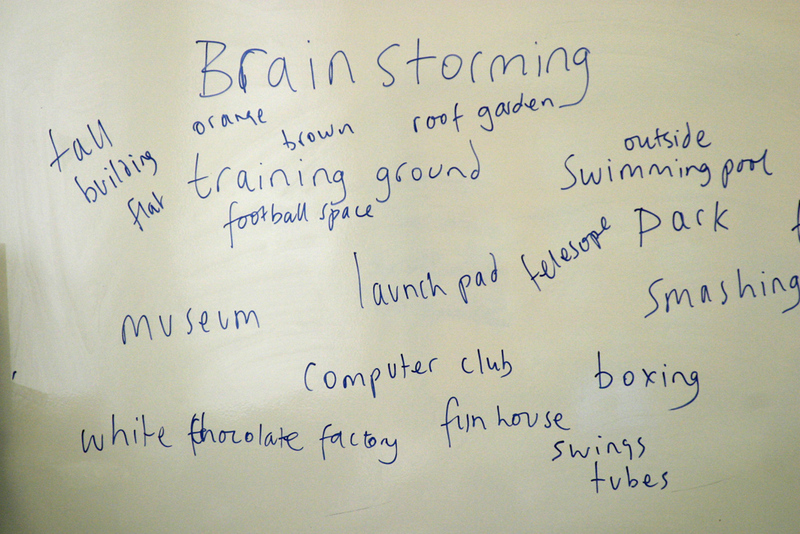 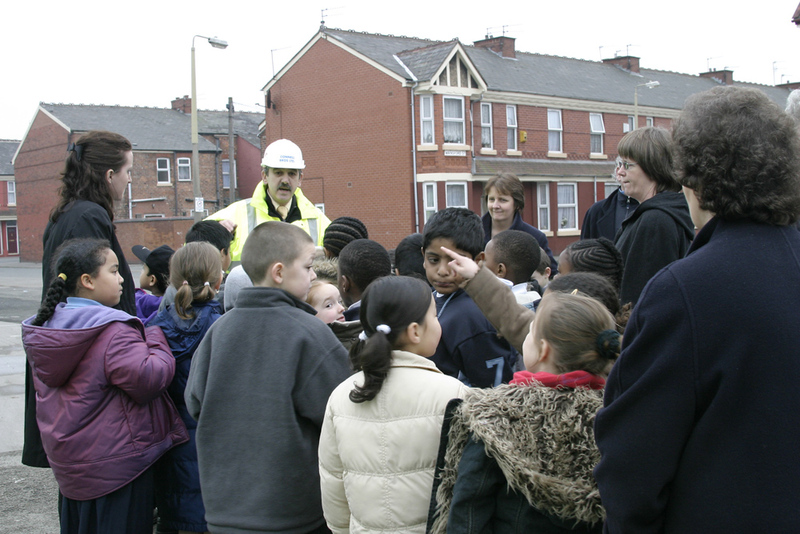 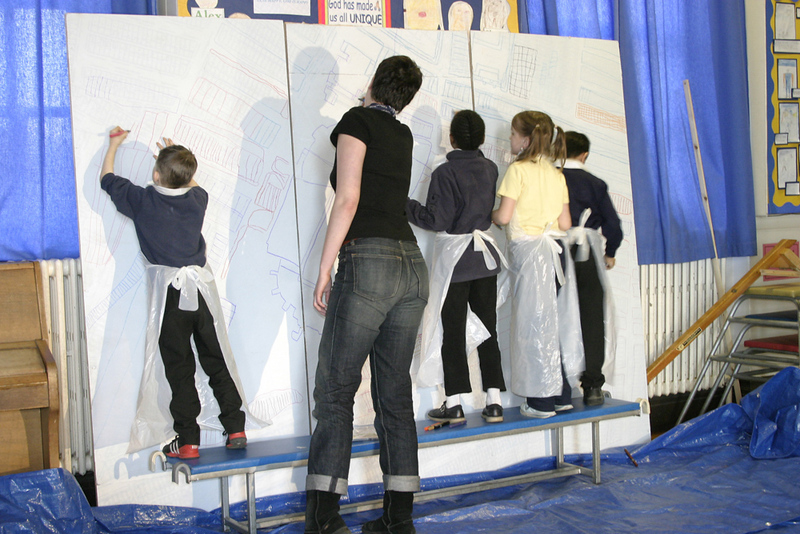 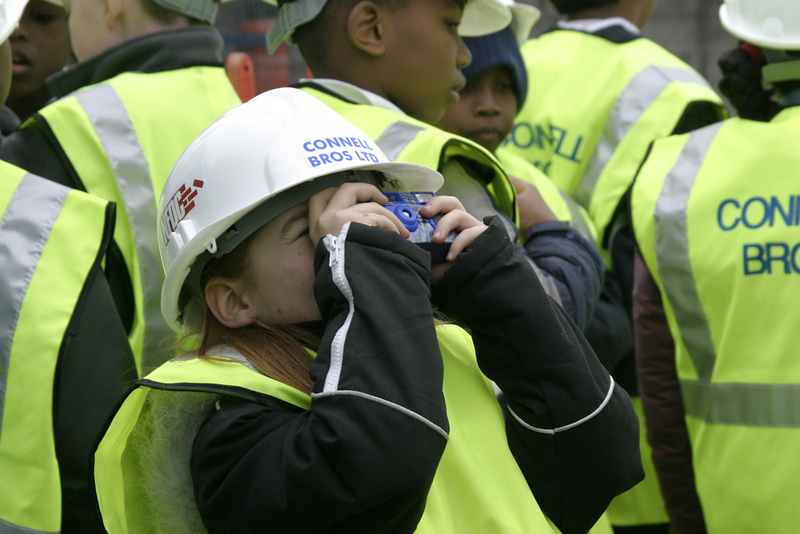 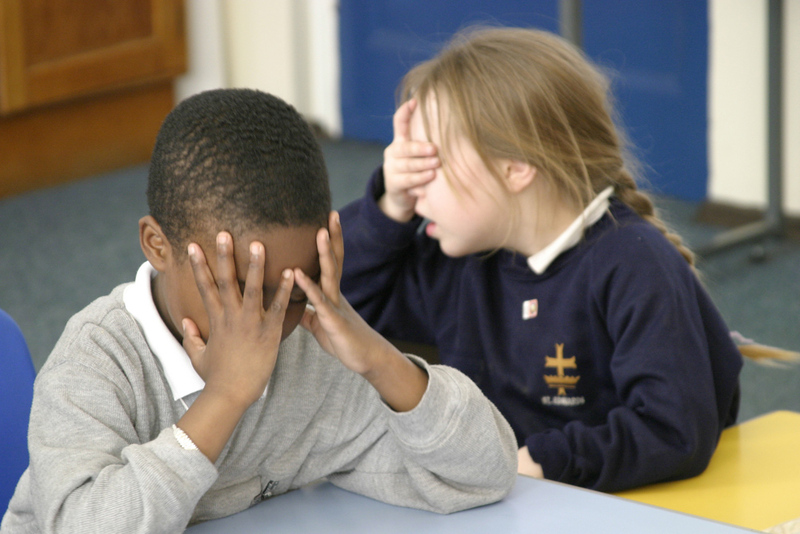 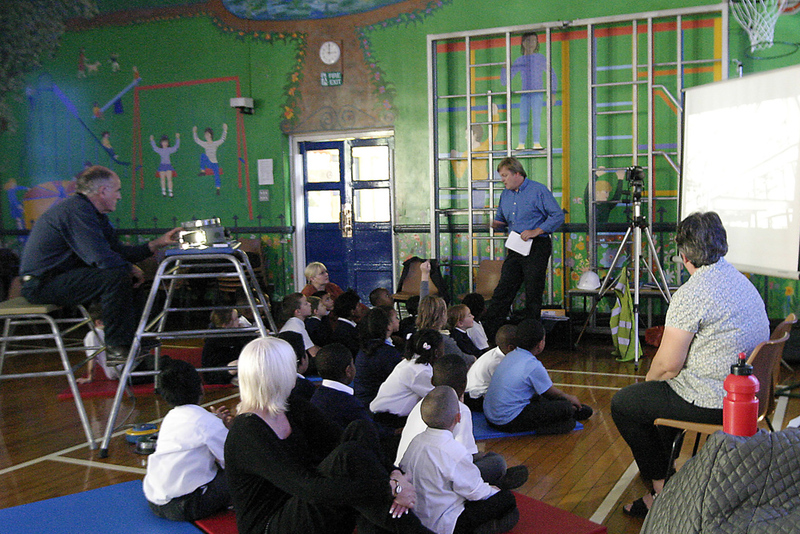 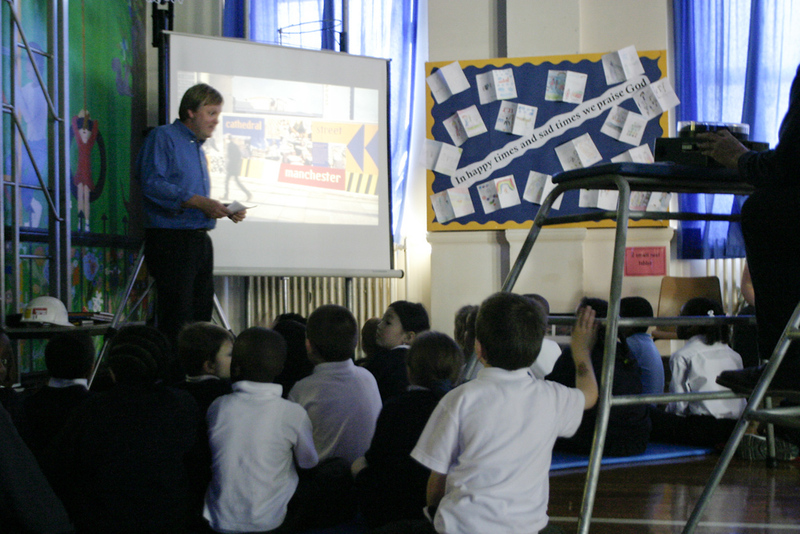 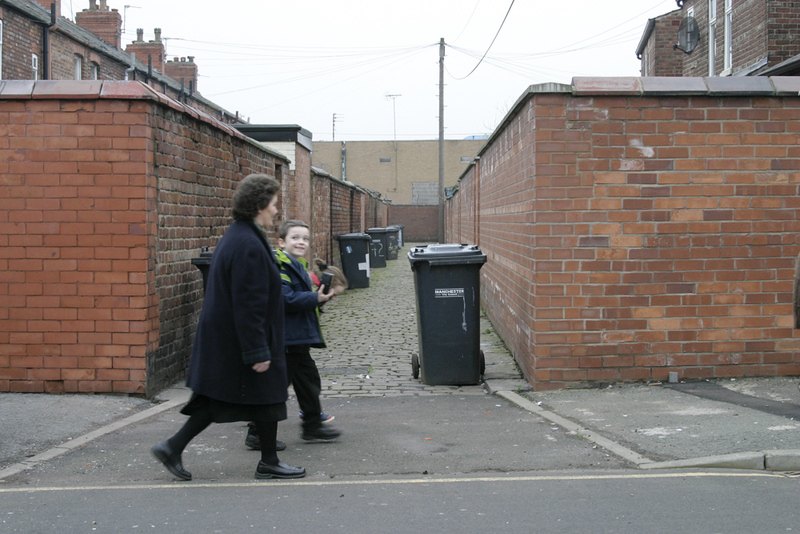 During the demolition period I initiated an arts project with the nearby St Edward’s Primary School, itself due for demolition. 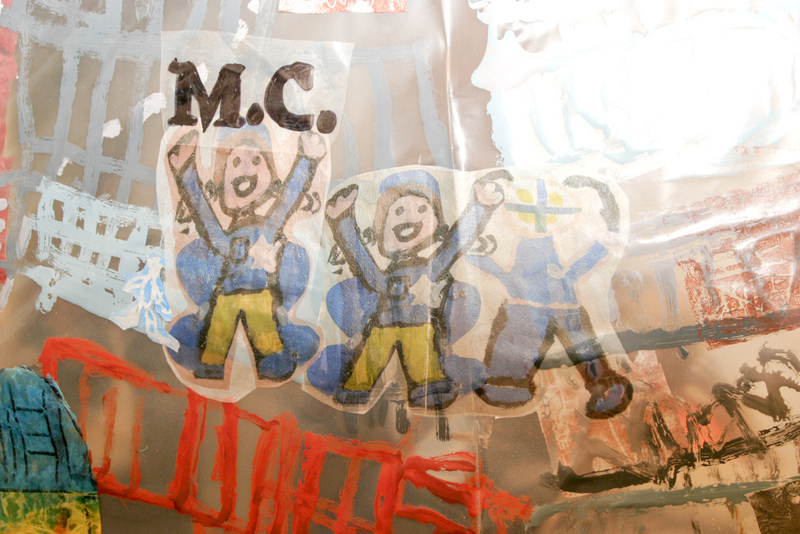 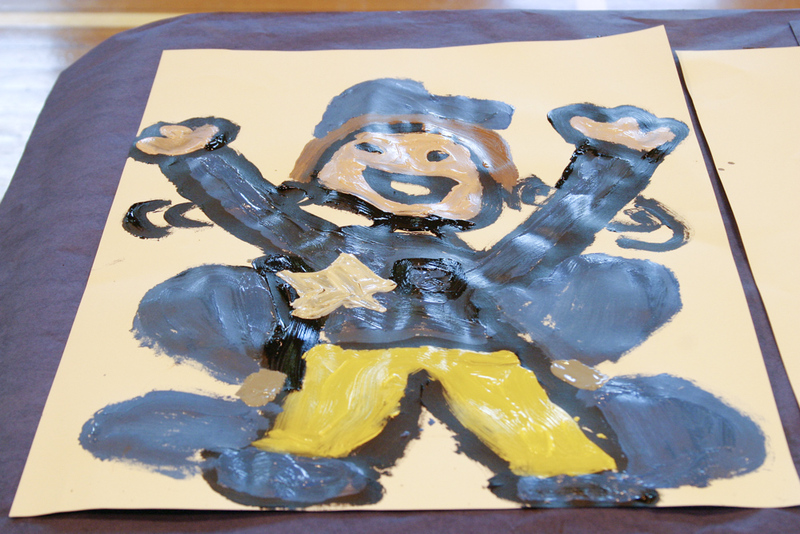 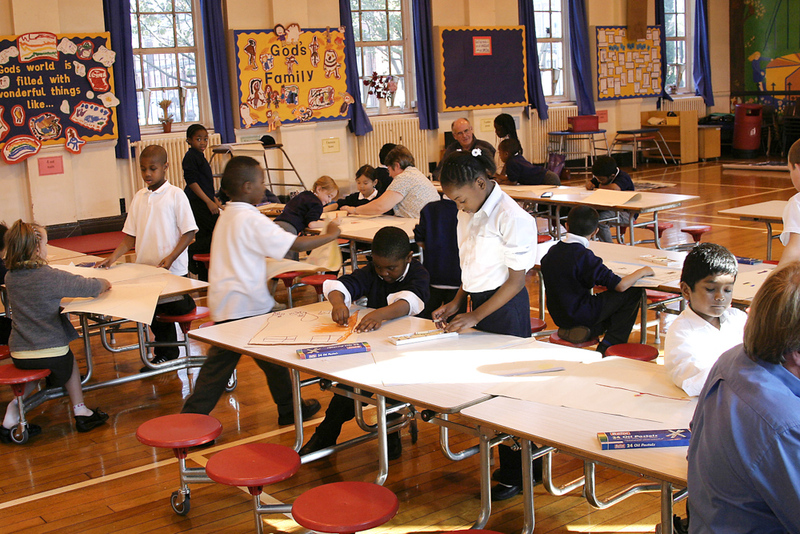 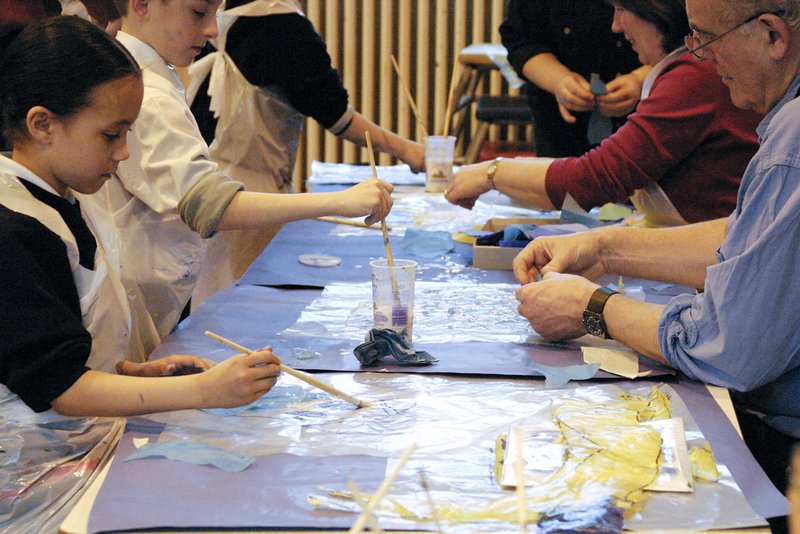 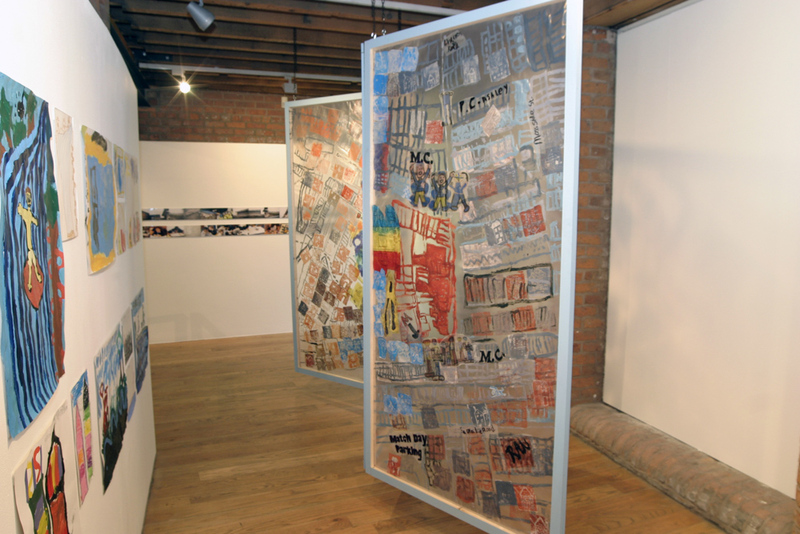 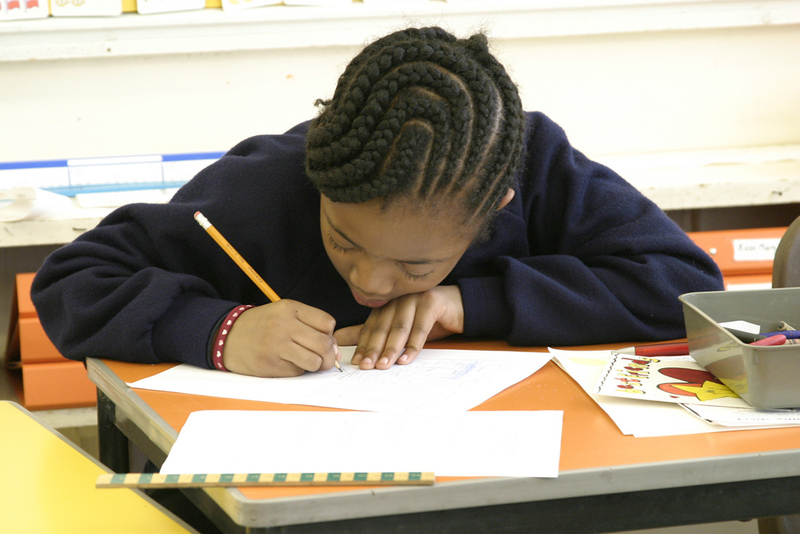 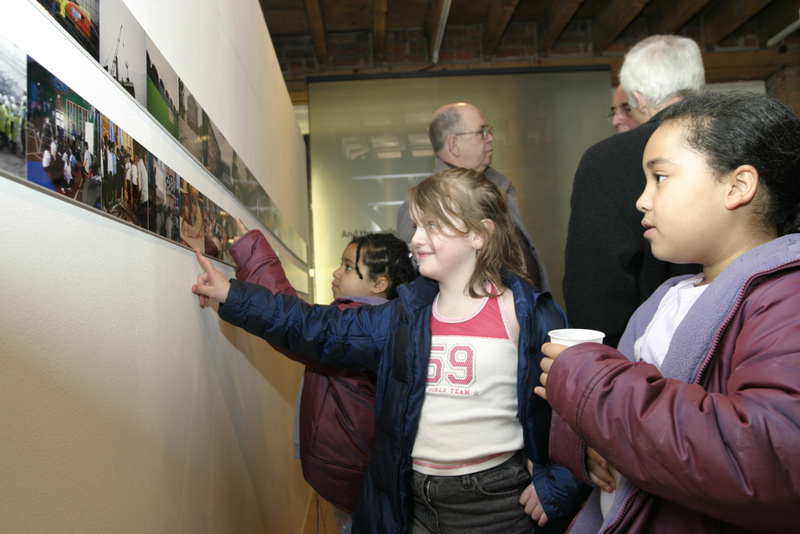 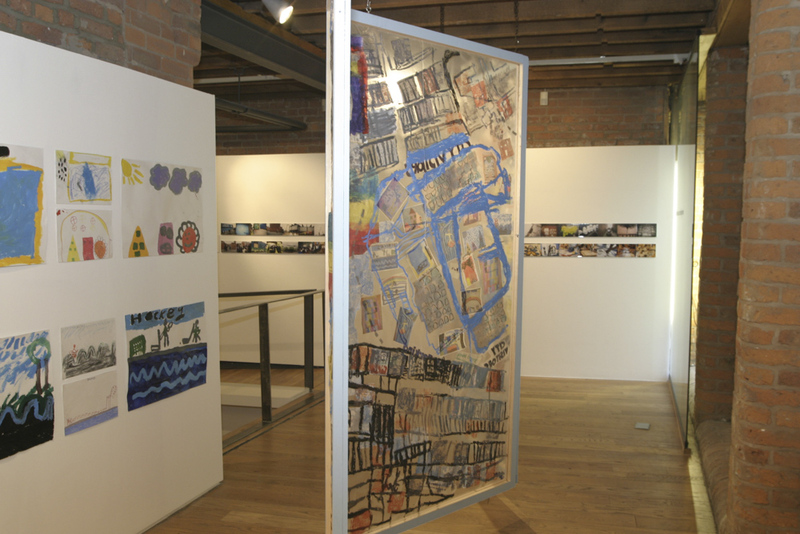 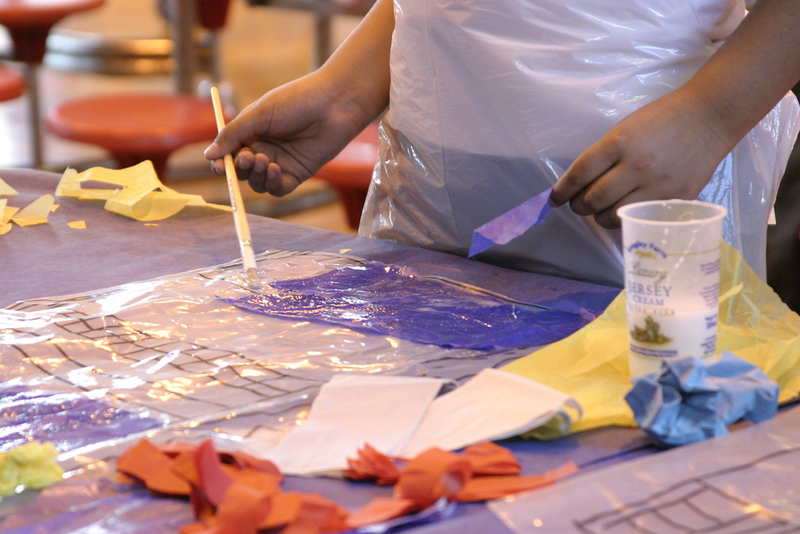 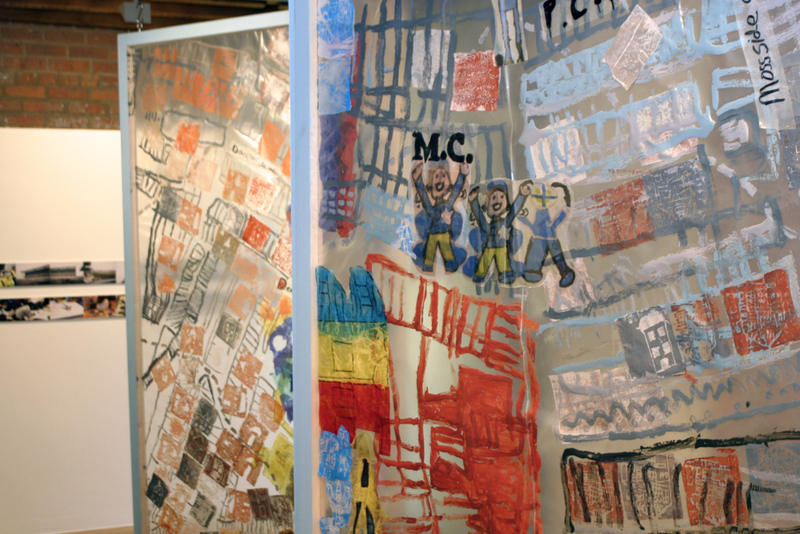 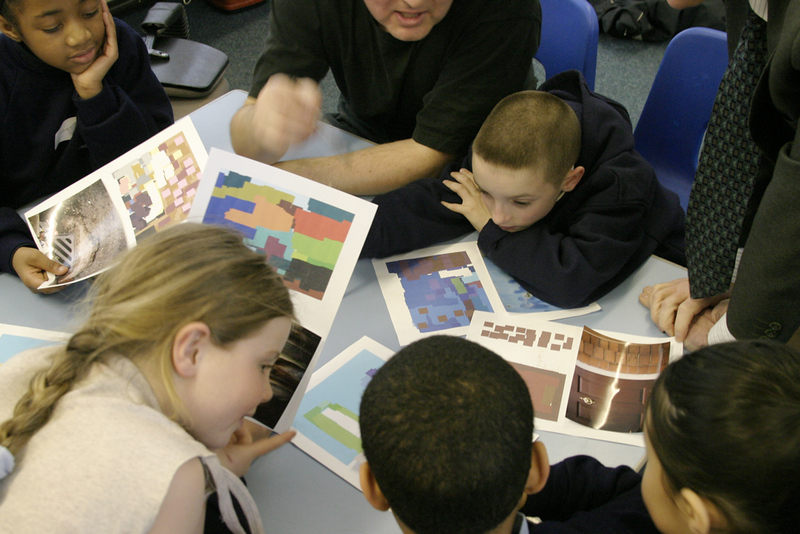 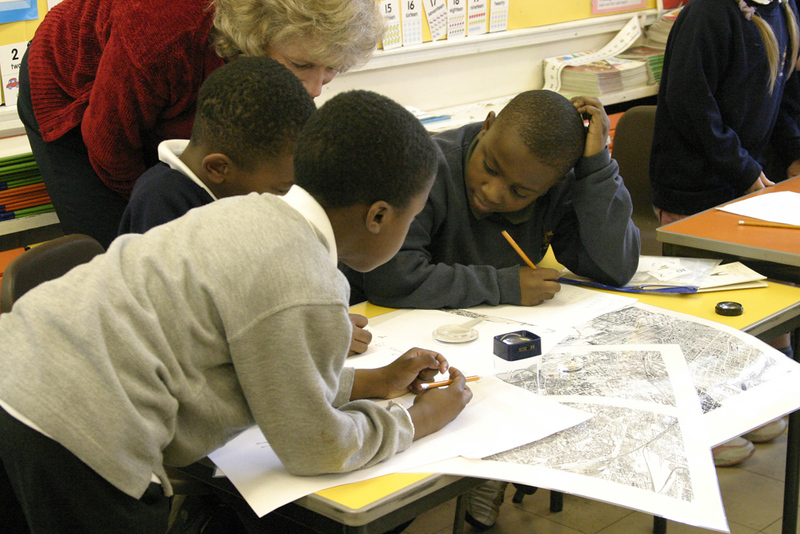 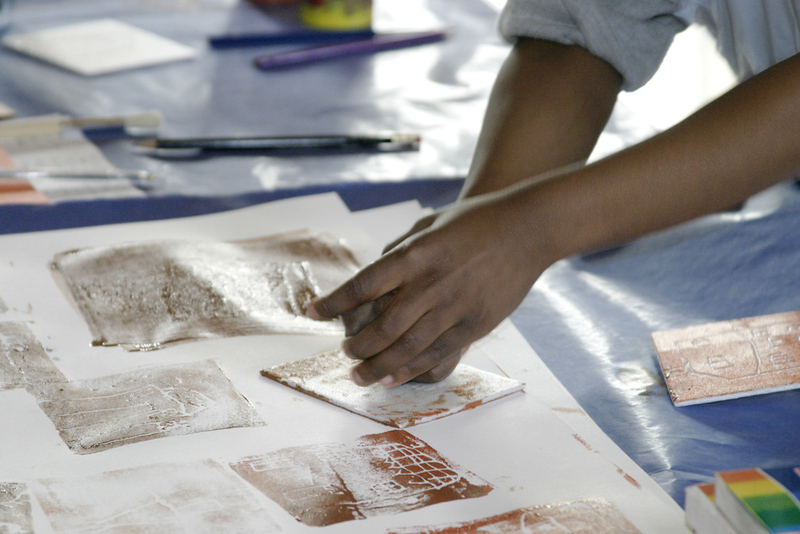 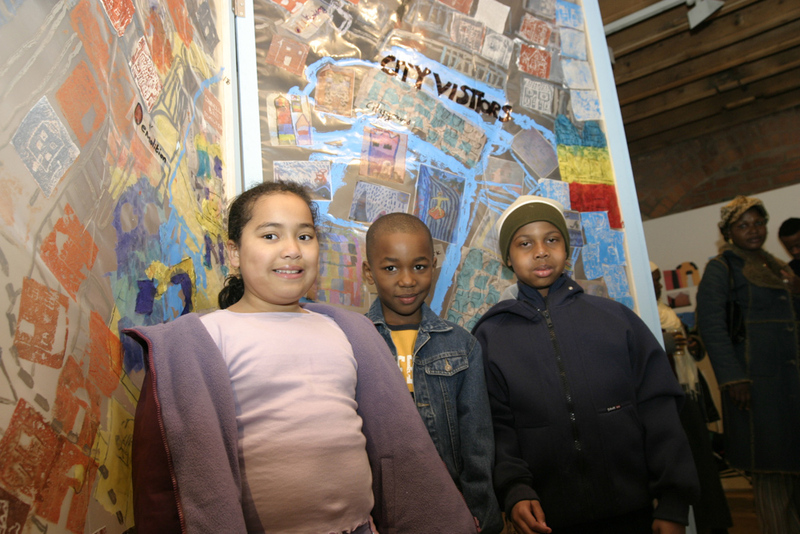 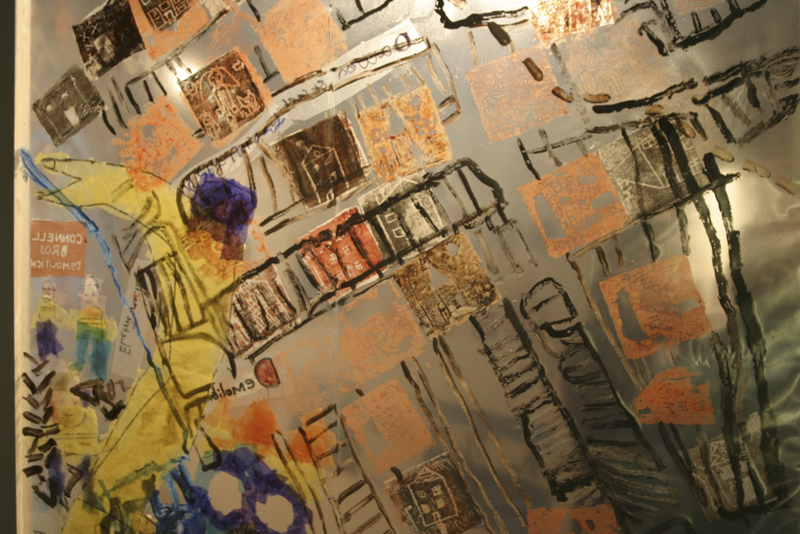 In collaboration with CUBE, Manchester’s gallery of the built environment, and with artist Margaret Jackson and architect John Bishop, we worked with Key Stage 1 children to create an exhibition for the gallery. 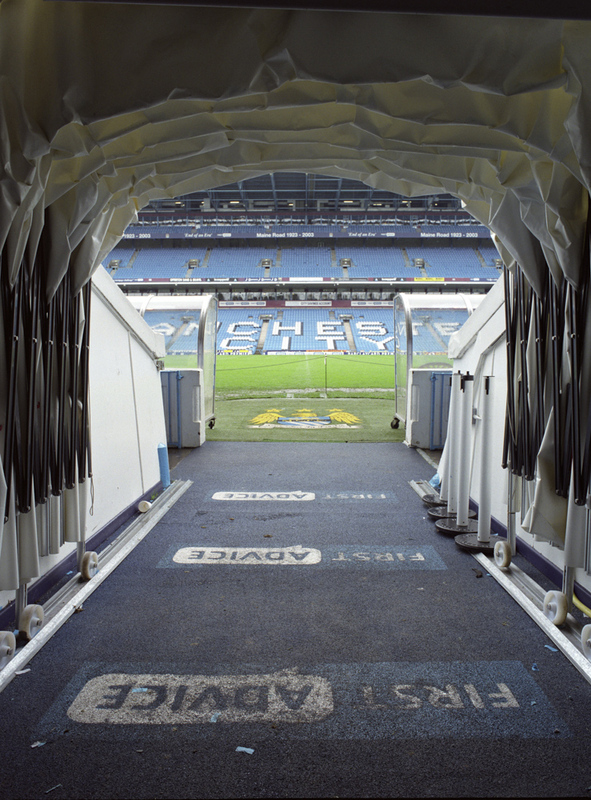 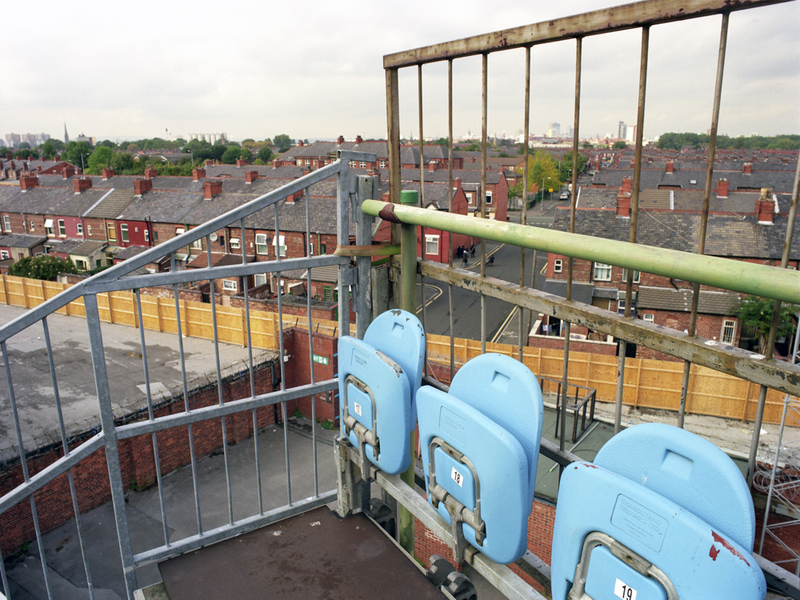 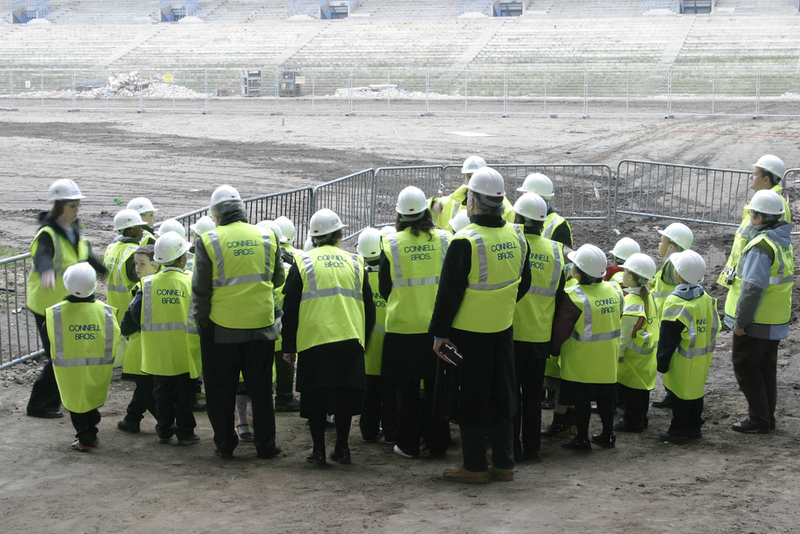 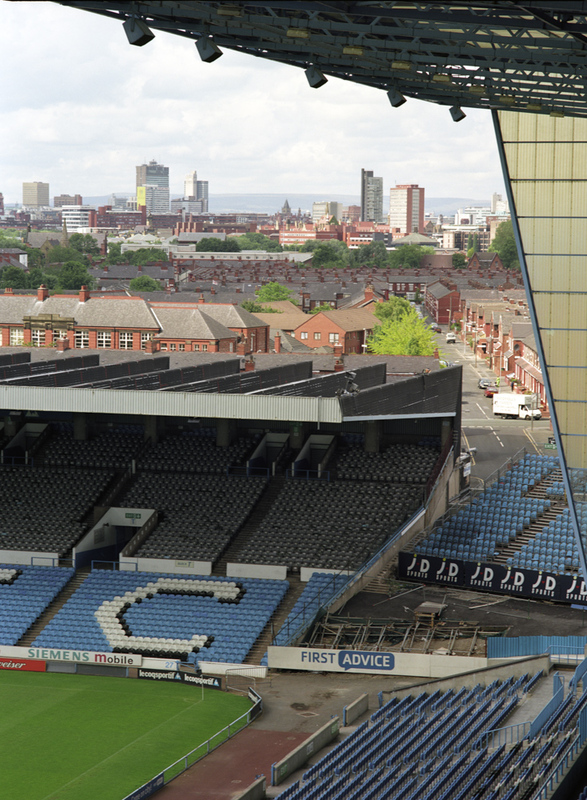 ‘Their classroom overlooks the Kippax Stand. 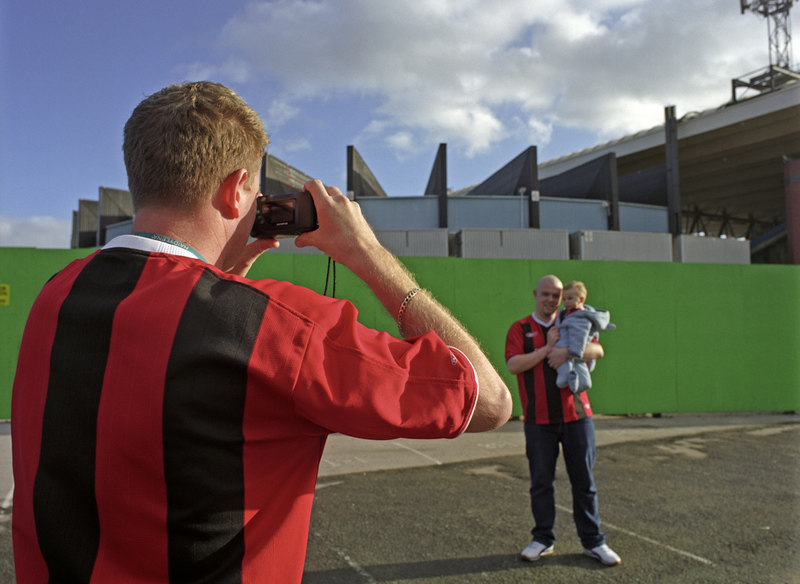 They have grown up quite literally in the shadow of this monumental landmark. 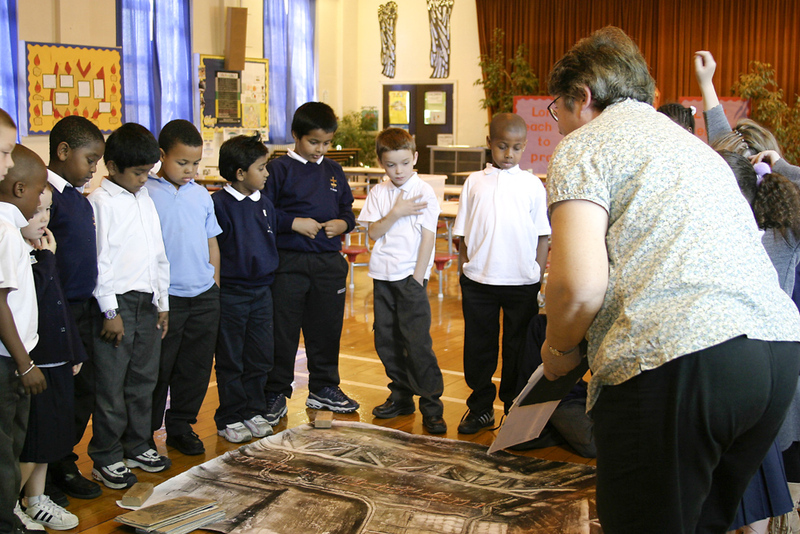 It seems appropriate that the children of St Edward’s should mark its demise and look to the future.